If you hadn't noticed already, several companies believe there's a market for smart spectacles that do more than your standard head-mounted display. Microsoft is allegedly revisiting the idea, and now a design patent recently approved in South Korea indicates Samsung may have other wearable aspirations (shocker) beyond its relatively new Gear smartwatch. 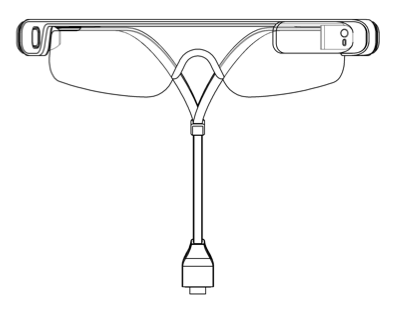 It's easy to draw comparisons to Google Glass when looking at the sketch above -- a similar near-eye display appears to feature here, after all -- but the claims don't exactly indicate a potential rival to the search specialist's eyewear. Referred to as "sports glasses" in the patent, they're described as having integrated earphones for listening to music, can act as a hands-free headset for taking calls, and will display notification alerts while you're exercising. All this is achieved by pairing the specs with a smartphone, of course, and apparently via a physical micro-USB link, of all things. If Samsung is thinking about developing these (it's just a sketch, folks), a small word of advice: make sure they work with more than one smartphone. More pics after the break.